Wine of Western Cape, South Africa. The beautiful vineyards of the floral kingdom of the Western Cape are farmed for their fresh and juicy expression of the Chenin Blanc grape Mature bush vines give this wine flavours of soft white peach and ripe apples. 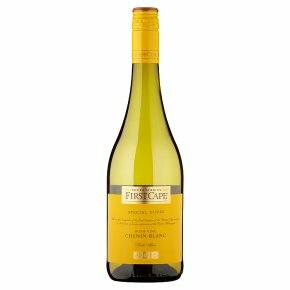 Fresh and juicy, this Special Cuvée Chenin Blanc is perfect on its own or with seafood and creamy pasta dishes.